Stress Awareness Month - Is Knitting Good for Mental Health? YES! 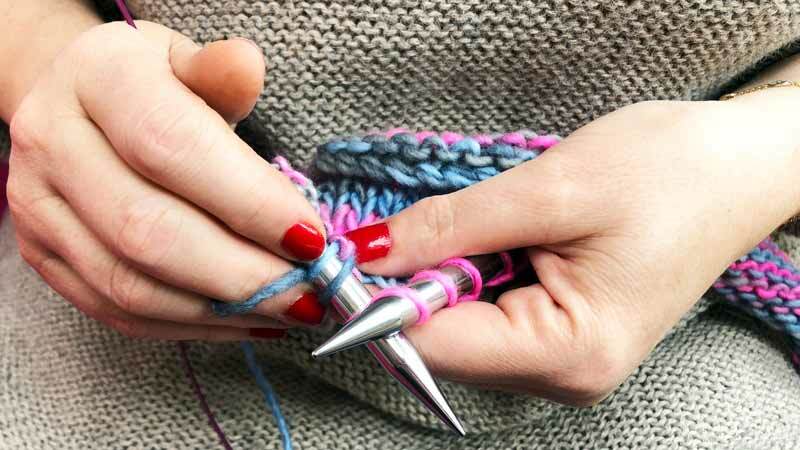 Is knitting good for your health? In a word – YES! I have heard lots of talk about April being Stress Awareness Month so I thought I’d write a short post about how I deal with stress. I have always been an anxious person, I am a worrier – I can’t help myself. I worry about everything – money, my health, my business, my husband and his job, is he happy, and lastly and most importantly – my children – what don’t I worry about when it comes to them??! I don’t need to go on, I am sure you can recognise the emotions, even if your particular reasons for worry and stress are different. I have learned various management techniques over the years – TV, chocolate and best of all for me – knitting (although may be combined with said TV and chocolate!). 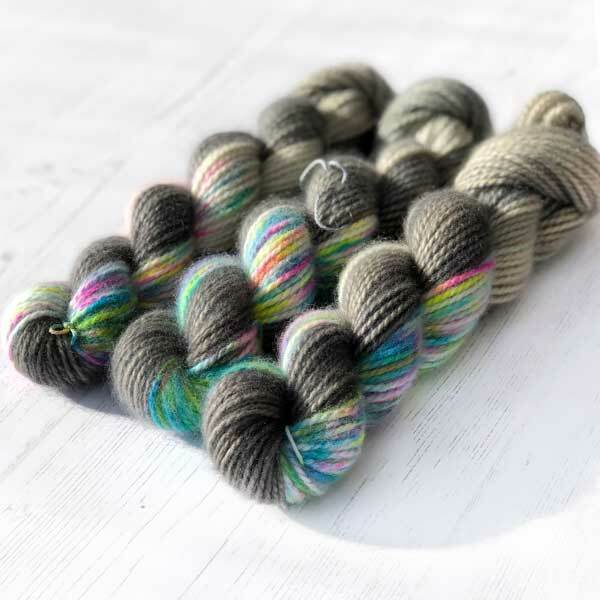 I also have a bit of an addiction to online shopping, so if you fancy – you can combine two of these and buy some scrumptions yarns, or perhaps an entire knit kit ? I don’t currently sell chocolate, although it may only be a matter of time, as I recently went on a chocolate making course – but that’s another story… I digress – having learned to knit as a child I have turned to it again and again throughout my life and it really does calm me down. Not only last week I had a massive explosion at the kids – I can’t remember what was the final straw, probably the toy-valanche they had created in the kitchen… Anyway, after my outburst, I took a deep breath, went in to the sitting room, picked up my knitting and did a couple of rows. It was all that was needed to diffuse the situation and calm me down. I was able to walk back into the room and deal with the children calmly, rationally and clear up the mess. It’s not just me – there have been numerous articles about how knitting is good for stress management, and recently research carried out by Knit for Peace goes one step further in concluding “Knitting can reduce anxiety, depression, chronic pain and slow dementia”, possibly saving the NHS millions. I also teach knitting to adults and children, and have seen first hand the many educational benefits it has: it helps in the development of fine motor skills and coordination, it increases the ability to concentrate, encourages creativity, and it is beneficial to maths and spatial recognition. I taught a group of 6-10 year olds a couple of years ago and one mother, who is also a teacher, wrote to thank me afterwards. I was so touched by this ? and I enjoy teaching this skill almost as much as actually doing it. It is so great to watch as children and adults alike become excited and amazed when they see the fruits of their labour. It is so satisfying to create something from nothing and to watch it grow. My son is almost 7 and we have already talked about how he wants me to teach him when we go on holiday in the Summer. I can’t wait! Personally knitting is my wind-down at the end of the day. It’s what I do when I need to close my mind off from all the stresses of being a parent, running a business and generally being alive. I know that I look forward to being able to pick up my knitting and sometimes feel slightly bereft when I finish a big project, much the same as finishing a good book. It is my haven, something that is all mine and brings me such pleasure and peace that I know, without it, I would be lost. In my opinion there is no doubt: knitting is good for mental health.